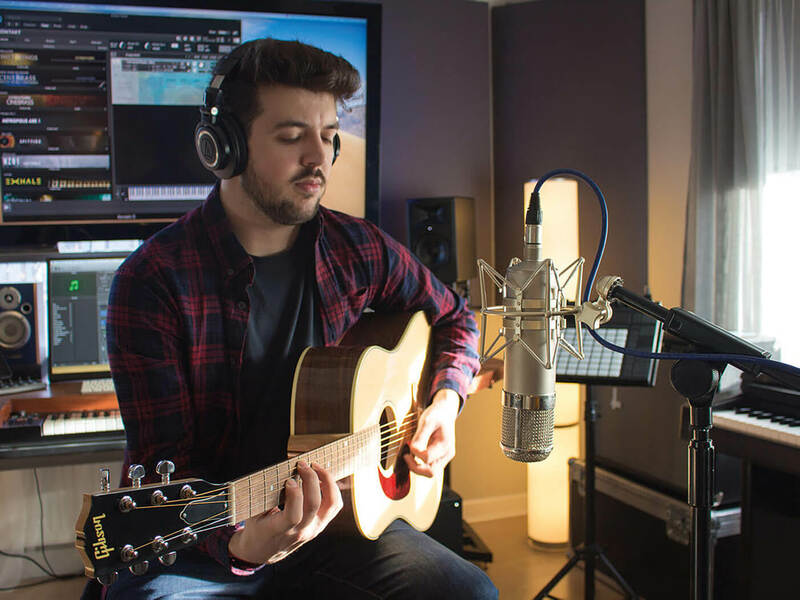 Based in the northernmost region of England, Brent March has carved out a cosy nook for recording, production and private tuition. My studio, located in Northumberland, UK, is designed in a way that allows me to create better content. 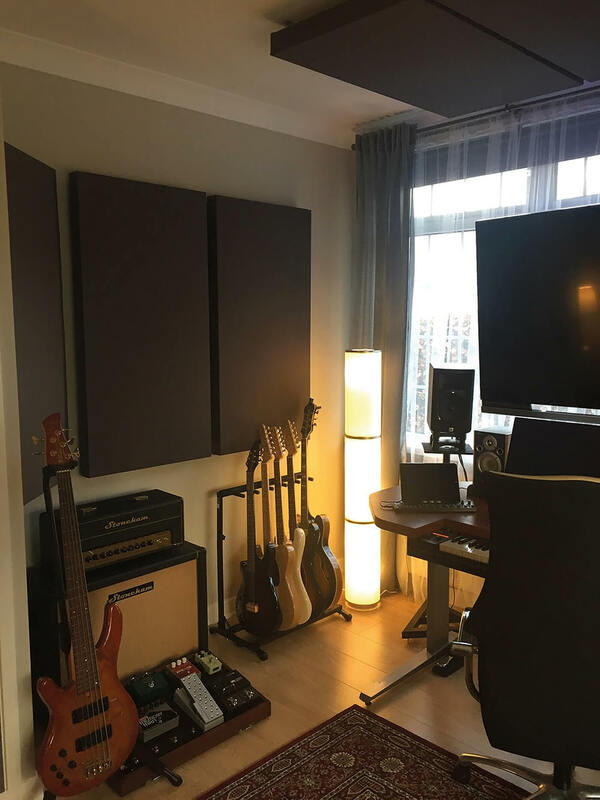 This includes demos or product reviews, composing and mixing music for TV, film and advertising, as well as an acoustically treated recording space. I’ve been using it since late last year. Custom-built Mac (I7-770K, 16GB RAM, 1TB SSD), JBL LSR305 studio monitors, UAD Apollo Twin audio interface, Kontakt 5 and lots of sample libraries, UAD, Soundtoys, Plugin Alliance and Slate Digital plug-ins, Stoneham and ZT amplifiers, Ableton Push 2, Fender American Standard Stratocaster, G&L and Gibson guitars, Aston mics, Strymon pedals, EHX pedals. Nektar Impact GX61 MIDI controller, Pro Tools/Logic Pro X, Sonarworks Reference 4 Systemwide, Sennheiser e906 dynamic mic and Audio-Technica ATH-M50x headphones. increasingly quick with the workflow. The UA Apollo Twin. I’ve owned it for around six months now. 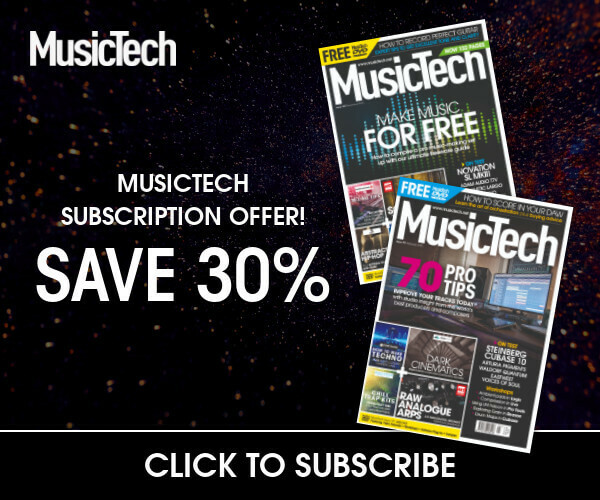 It’s incredibly versatile, has immense DSP and can help take some stress off your CPU when mixing or tracking. For me, the Unison-enabled recording is a game-changer. Being able to record through a preamp, which takes on the characteristics of multiple classic preamps and amplifiers, is the most sonically diverse way to work. How often would you say you spend in your studio? Probably every waking minute, seven days a week! 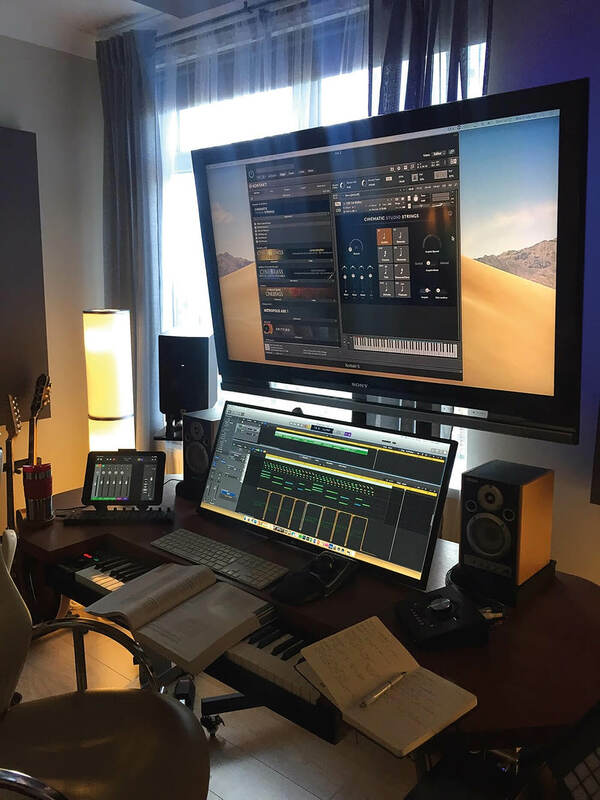 I use my studio for a range of things: composing, producing and mixing are the first priority of the work I focus on. I also do a lot of private tuition here as well, and I’m currently working on demos and reviews for a range of products and tutorials. Either the PreSonus FaderPort or Softube Console 1. I was almost convinced to invest in some outboard gear just recently, but a good friend of mine persuaded me otherwise. Unless the outboard is sonically superior to the UAD plug-ins, it’ll not improve the sound in the slightest. However, the Console 1 and FaderPort allow you to finally get hands-on with plug-ins, making the whole experience a lot more tactile, as well as focusing on mixing with your ears and not your eyes. Very little, because I love my setup. I spent quite a bit of time beforehand planning where to put the different gear. This helps speed up my workflow. Either a Chandler Curve Bender or Manley Massive Passive. For me, these two are the best when it comes to EQs. The UAD emulations are incredible value for money, but one day I’d love to own, or at least, try the real thing! Your top piece of production advice? Perseverance. For a long time, it felt like my tracks weren’t up to standard, and I still feel like that from time to time. You need to remain patient and not expect to be a world-class producer or composer within months or years. It’s a lifetime’s worth of learning and it never stops. I’ve recently started a journal to keep track of my daily goals and achievements. It helps to write things down on paper as it allows me to acknowledge where I stand on projects and goals. Don’t overlook the importance of good acoustic treatment. That’s something I have only taken seriously for the last six months. 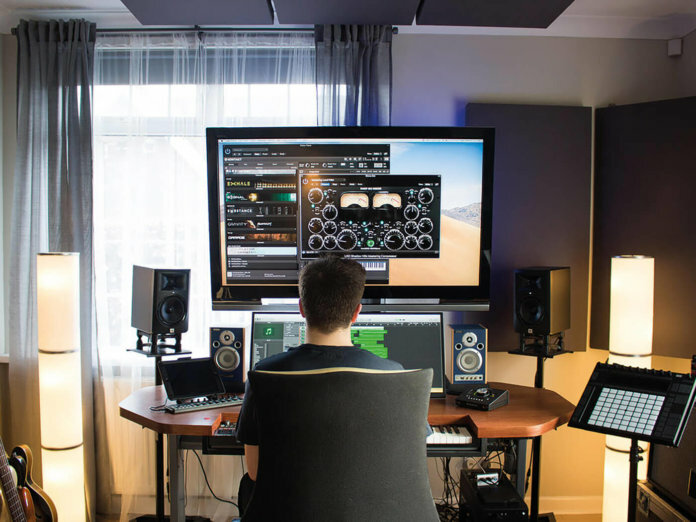 The best studio monitors don’t exist in theory – they’re speakers you know well, in a well-treated space. Reflections in all home studios can also cause all sorts of inherent problems, such as early reflections, standing waves, room modes. Make sure to invest time and research into good acoustic treatment. It can be done relatively cheaply, too.